The uncertainty of teenagers consists of a huge list. It starts from the time we wake up and continues till we sleep. However, the prime hurdle in their blogging career is to maintain balance in their timetable. Teenagers usually need to pass three life’s one in school, second in college and finally third in universities. These three hurdles seem straightforward, but when we examine them on the basis of facts the outcomes are extremely awful. So does that mean teens have no future in blogging? Obviously the answer of this question is a Big No! Teens has the most capable genus, they have proved their potentials by astonishing everyone in spell bee. 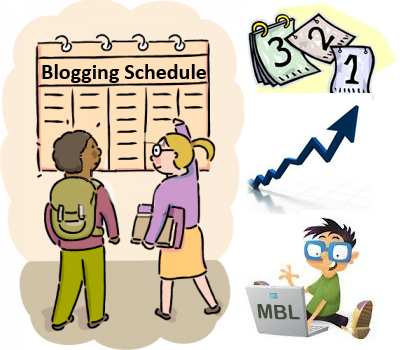 Teens need a proper blogging schedule to usurp the entire blogging community but the question is that, how we can create a perfect blogging schedule? The answer is extremely easy, you don’t need to feel any stress just enjoy this treat a faultless blogging timetable is ready for all three different stages i.e. school, college and university. Highlight#2: How Teenagers Can Manage Their Blogging Career With Studies? Being a teenager myself sometimes we feel stressed out by studying the day long. From time to time, we need to take the rest to give a tiny little break to our brain. However, most of the youngsters are deeply energized that they stop thinking about relaxation and give their more attention to establish their blogging career in blogosphere. In another way, blogging activities are excellent for teens it will increase their knowledge and speed of learning. Nevertheless, they should maintain a perfect schedule (timetable) in their studies and blogging. A well planned blogging schedule consists of three things. Give High Regards to Your Studies: One you should never take your studies as undemanding, because without education no man on this earth can live a respectful life. Try to Maintain Balance in Studies and Blogging: Try to concentrate on your studies and should always give high regards to your academic career. While in spare time should continue blogging, moreover maintain balance in between blogging and studies. Work According to your Timetable: Teens are full of life first they agree to a certain thing, but in few days decline all the proposals and work on their own. This is the most common awful habits of teens which should be removed to give their Blogging career a gigantic lift. A teenager who is currently learning essential education from schools should give their highest regards to their education. However, they can still manage a little time for blogging and can publish five posts in a week to keep his readers up to date on latest trends. Nevertheless, there are no two opinions why teens of school level are on the peak of their intelligence. This is the reason why we think teens should start their blogging career from their schooling life so they can create a better future for themselves and their families. After coming back to home from school a teenager usually uses 2 hours in resting, and spends a short time with friends. Now at 6pm he do his homework, and by the end of 2 hours its 8pm when he finished all his studies. Now after completing all of his remaining tasks, he is finally able to get few hours for blogging. Now if a teen is fully dedicated to his blog then quickly he will craft an attractive post for his blog and would publish it. There are 365 days in a year so if a school teen publishes 1 article for each day, by the ending of a year he would have a treasure of 365 grand posts. However, if in case he got ill or during his examination he did not publish anything then still he would have 250 posts. This is in fact first-class achievement for a school level teenager. Give more attention to studies while do blogging is spare time. When a teen reaches college level, he get bit independence but still we have to give more regards to our studies because it’s the foot step to get perfect academic results. Nevertheless, after passing our school life we can concentrate more on our blogging career and our aim should be to publish at least one post per day. So if we get succeeded in our goal, by the end of a year we will be able to get 365 precious posts without doing any comprise on our quality. Maintain balance in your studies and Blogging. Now finally when a teenager reaches university level, he is that much close to become an adult. Now it’s the correct moment when he can concentrate more on his blogging career. While he should not forget, that education is also essential. Now a teenager is more likely to become a pro blogger, as he is working in the field of blogging since 4 to 6 years. If he did not start his blogging career from school level, then he doesn’t need any sorts of hesitation. Just follow the same guideline by publishing 2 to 3 posts per day and the results will be pleasing one. So, guys we hope you have enjoyed marry go round, I mean the life circle of a teenager from school to university level. In this post we covered, how a teenager can transform his schedule and could become more dedicated to his blogging career. In coming days we will continue this series and will share more exciting topics with more regularity till then peace, blessings and happy blogging. Blogging guide for teenagers helps them a lot in prioritizing the study over blogging .i believe that as a students ,their primary concern is the study then blogging .If they know how to schedule things then there will be no conflict at all. Very well said. This guide helps students/teenagers on how to properly insert their blogging career without interfering the quality time spared in their schooling. The best and effective post i have ever read regarding my studies and blogging schedule. Basically i'll go for the School Teen's availabilities i.e. 1 post a day to reach the sky. Although as you mentioned the ill days to left in 365 days, i would recommend that in that days we'll have to go for guest posting. :) Guest posts are simply life savers in exam times as well as illness. That's a fantastic post allover. Of course, studies should come first but blogging should compliment it.